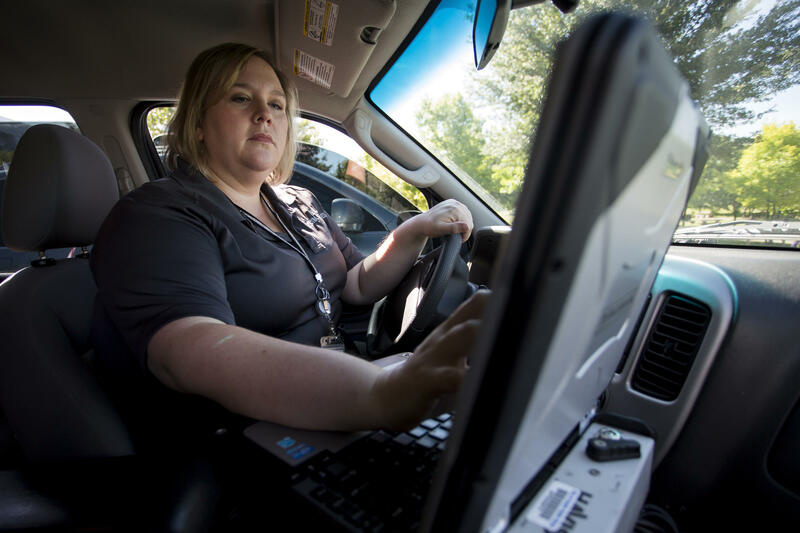 Summer Davenport, of APD's Victim Services unit, checks for emergency requests on her computer. Last year, 102 people died on Austin’s roads. All this week, we’ve been looking at the plan in our series – the Road to Zero. 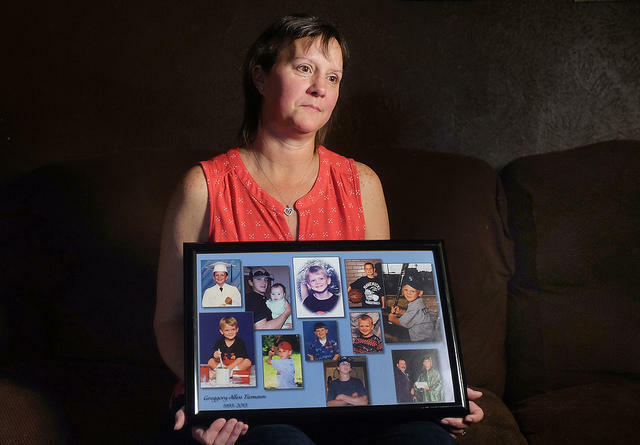 While we’ve heard the stories of victims and loved ones, we haven’t heard from those who respond to these deaths – in the minutes and days after. 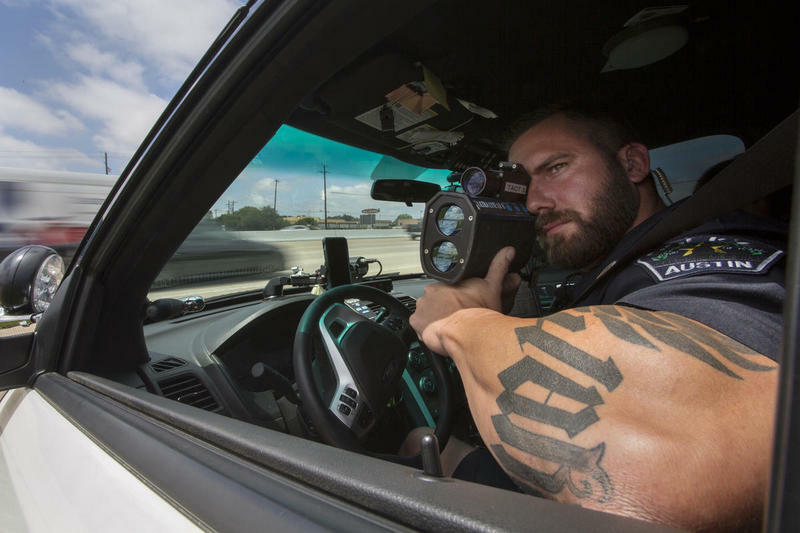 KUT’s Audrey McGlinchy spoke with three members of the Austin Police Department about their work and the toll it takes. Francis Reilly is unique for an Austinite: he doesn’t have a car. He mostly rides his bike, but these days he mostly depends on the bus. To explain why, he met me at intersection of Wallis and Rollingwood Drives in Austin's Rollingwood neighborhood west of MoPac. “This is where I was hit by a landscaping truck about two years ago," Reilly says, as cars whiz by us. 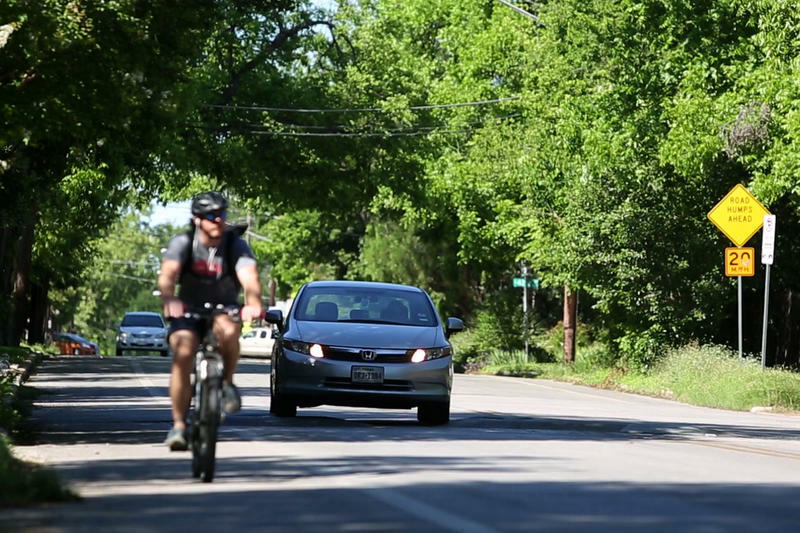 This story is part of our series, The Road to Zero, which explores traffic deaths and injuries in Austin and the city's plan to prevent them. Traffic fatalities are down nationwide, but new research shows those declines are mostly among highly educated people. If you have less than a high school diploma, the rate of death in a car crash has actually increased. Intoxicated Drivers Killed 39 People in Austin Last Year. So How Do We Stop Them? She had already started cooking the eggs and bacon. Deborah Tatum, 49, was reaching for a can of biscuits when she learned her son was dead. Her daughter rushed into the kitchen, telling her a police officer was on the phone. High speeds are one of the biggest killers on our roadways. 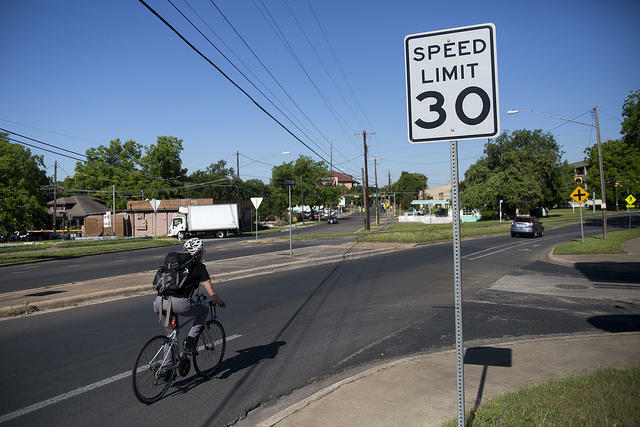 As city officials tackle an uptick in traffic fatalities here in Austin, speed limits come up a lot. Over the next few months, the Austin Police Department plans to step up enforcement of the city’s hands-free driving law, which prohibits talking or typing on a phone or other handheld electronic device while driving, without the use of a hands-free device. 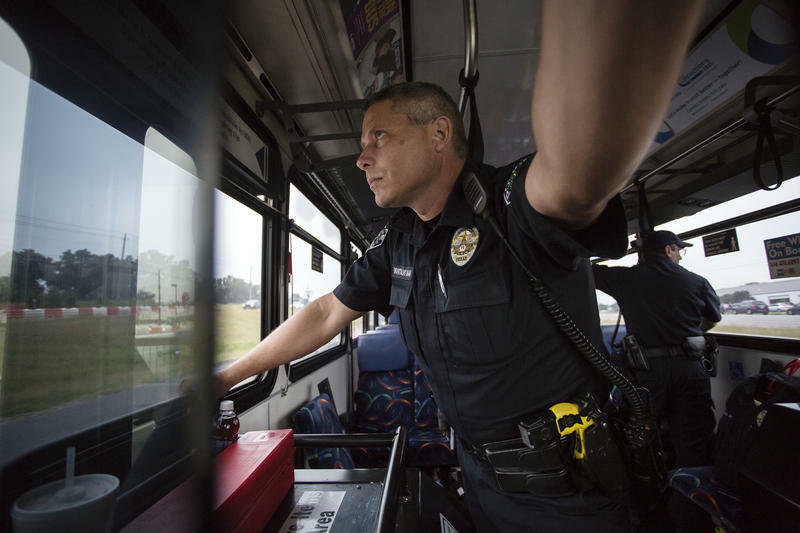 To do this, police are using unexpected vehicles: Capital Metro buses. 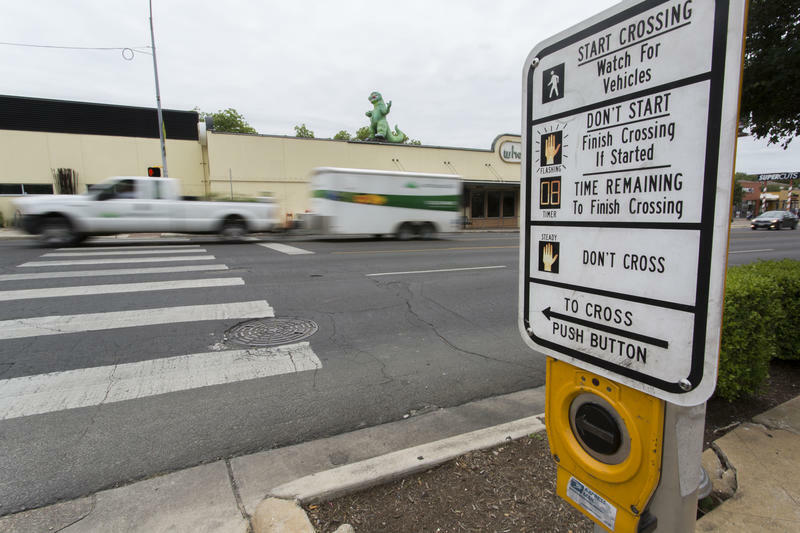 What Exactly Is a Vision Zero Plan? And Why Does Austin Need One? This is the first story in our series, The Road to Zero, which explores traffic deaths and injuries in Austin and the city's plan to prevent them. One hundred and two people died on Austin’s roads in 2015 - the most ever recorded. More than 20 have met a similar fate so far this year. Nearly every death involved a car. Yet, in a city where 93 percent of households own a car, Francis Reilly does not. Reilly works in the city's planning office.